Getting organized in your craft room doesn't have to be difficult. I myself did tend to leave things laying around if there was not a specific place to store them. I realized that if I wanted to spend less time searching for things then getting organized was a must for my arts and crafts room. Ink pads were kept in a large box, which I thought was a great idea at first, until I realized I had to go searching for the colour I wanted, which can be frustrating and can damage the pads. 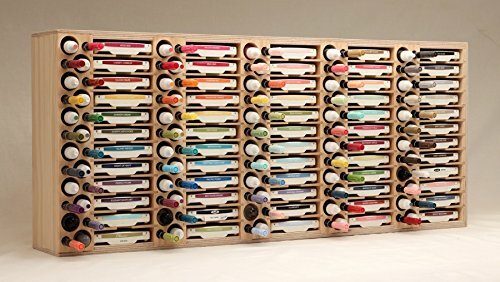 I came across this perfect way of organizing my ink pads and it is a simple ink pad rack. There are 60 slots in this rack making it the ultimate in ink pad storage. It will fit most brands including "stampin up". You can see the colour you are looking for at a glance, and this can sit on your work bench or craft table or be secured to the wall if you have the space. If you use a lot of ink pads for your craft projects, then being able to see them right away also makes it easier to clean up at the end of your session. Chances are if there is a place for everything then everything will end up in its place. That is my moto! These supplies can get expensive, so you want to store them in such a way that they stay safe and clean and not get beaten up in a box somewhere on a shelf or left out all over your work station, or better yet, you don't want to be duplicating them because you didn't realize you had that colour already. If you use your ink all the time and need to use refills, then this is a step up from just basic ink pad storage. This one has room to store the refills along side the pad. It will hold the most popular brands such as stampin up and more. It is made in the USA and this will get you organized quickly. I thought it was such a cool idea to have space for the refill, so that if you get that ink pad out for your projects and its a bit dry, you know just where the refill pen is. Totally colour co-ordinate everything with this system. Small Crafting Space - If your space is small, then getting organized is really important. There are so many cool products on the market now that will address your storage issues no matter what your craft is. In a smaller space you need to utilize all space and by finding the right system for your craft you can fit a lot of supplies in a small work space. Figure Out Which Supply Cause the Most Issues - You can invest a little at a time, even use the dollar store for ideas, but eventually if you are a serious crafter you may need better storage systems. Ink pads for example can end up all over the place, and can make you feel stressed before you have even begun to work. 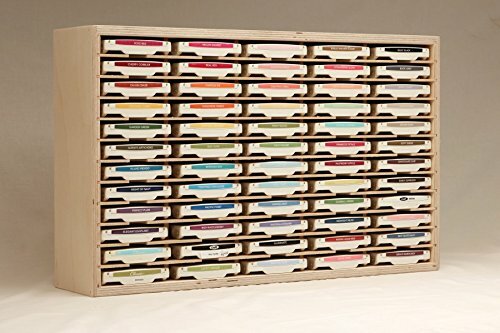 So, take an afternoon and jot down just what bugs you in your crafting space, and see what types of storage systems would work and also be user friendly. You don't want to be using a system that is not very accessible. That was my mistake recently. I stored many supplies in plastic tubs, that were not see through meaning that every time I needed something I had to pull down the tubs. This meant not much worked its way back into the tubs. Or even better, duplicating a supply because you couldn't find it until you brought the new one home. I really like the idea of these open storage ideas, especially for ink pads. Get them and your stamps in order can really make you feel good about your craft room. So even if it is small there is a rack for that!